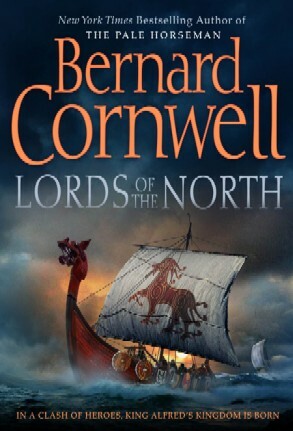 Bernard Cornwell is back at it again in this enjoyable series of books about Alfred, the Saxon king, who reigned in Wessex between 1871 and 1891, and who is honoured in English history as Alfred the Great. This series begins with the novel The Last Kingdom and continues with The Pale Horseman, The Lords of the North and Sword Song. Unfortunately, Bruce Gray never read the last novel in the series, so I still have a final novel to read! Although Alfred is the major historical figure in this series, Uhtred is the fictional character whose story is central to the novels. The setting for the novels is the British Isles in the ninth century, with the Saxon kingdoms of Northumbria, East Anglia, Mercia and Wessex under attack from the sea by Danish Vikings. Uhtred’s story takes place as the kingdoms fall one-by-one to the Danes. The Last Kingdom begins with a Viking raid on York and the death of Uhtred’s father and his own capture by the Danish Vikings. Raised by a Danish family, Uhtred dreams of re-capturing his home, Bebbanburg; he learns the skills required to be a warrior, both on land and sea; he is dragged into the political scheming of Alfred and Wessex; and he develops his spiritual beliefs amidst the violence and ignorance that surrounds him. As I read these novels, it made me reflect on Camp Nominingue and what we believe at camp. 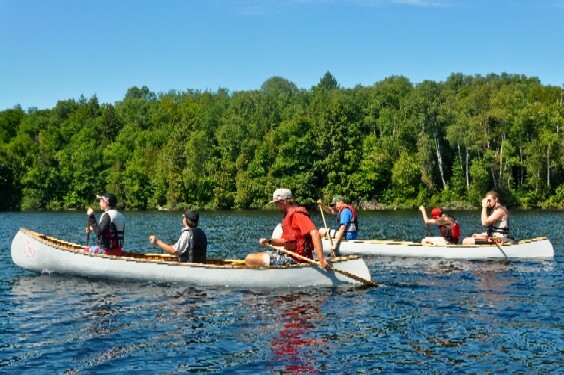 Almost everyone who has been a camper and a counsellor at camp believes that a canoe trip is not only an amazing experience but also, the essential Nominingue experience. At Nominingue, however, it is not just any canoe trip. These are some of the cherished beliefs of Nominingue trippers: true canoe tripping should be done in cedar and canvas canoes; there is nothing like cooking on an open fire; a canoe should be carried by one person and a portage must be completed in one shot, with all packs, canoes and equipment carried across the portage, without anyone in the trip group having to do the route twice. Although I was raised in these beliefs and recognize their merit, I also know that there are good reasons to use a stove, or to travel in Kevlar or ABS canoes. Camp Nominingue values the outdoor experience. All campers live in tents, canvas prospector tents set on raised wooden platforms, during their stay at Nominingue. There is a canoe trip offered for every camper, whether he is at Nominingue for a week or seven weeks. Freedom of choice is an important value. 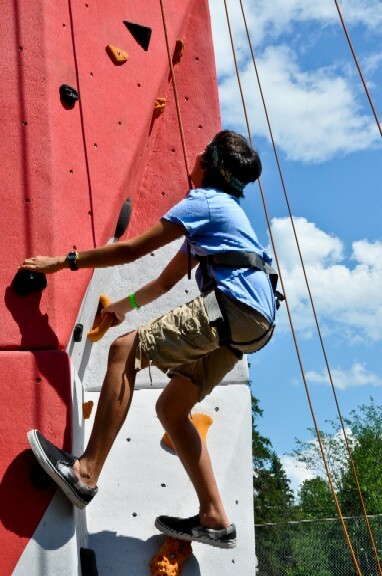 Campers choose instructional activities each week; campers choose how they will spend their free swim time; and there are lots of opportunities to learn new outdoor skills. Nominingue believes in the importance of respect: for oneself, for others and for the environment. To us these are essential components of the Nominingue experience. At most camps, campers live in cabins. Although cabins might provide more comfort, we believe that part of the outdoor experience is lost. Choice and decision-making provide campers with opportunities for personal growth. Sometimes choice can be inefficient. 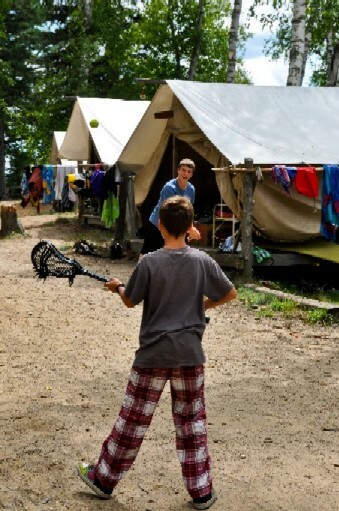 Campers provided with time to choose might not always use their time wisely, but at Nominingue, we consider the opportunity for growth more important than the potential for loss. 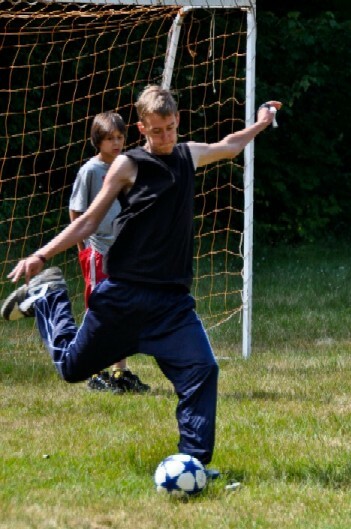 Every camper who spends time at Nominingue learns about these values and beliefs from the campers who return year after year, from the staff who themselves were often campers and from the place, which reflects these beliefs in its organization and in its spirit. There is no doubt that the values and beliefs learned at camp are as important if not more important than any other skills campers learn at Nominingue.